﻿ EURO 2012 » Get your World Cup bonus – EUR 100 are waiting! 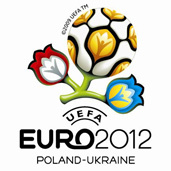 EURO 2012 > News > Get your World Cup bonus – EUR 100 are waiting! Get your World Cup bonus – EUR 100 are waiting! Get your World Cup bonus – EUR 100 are waiting foy You! The soccer World Cup in South Africa – the biggest sporting event of the year – is heading your way and bet-at-home.com will help you get off to a good start! Bet-at-Home will double up your next deposit up to EUR 100! You should not miss out on this fantastic opportunity! Attention: This offer is valid only until June 16! Visit Bet-at-Home website and log in with your access details (betting account number and PIN)! Select a payment method and make a deposit onto your betting account! Click on “Deposit/Withdrawal”, “Redeem bonus” and enter the following bonus code! If You don’t have Bet-at-Home account yet, please create it now. The World Cup bonus will be credited immediately after you log on to your betting account, so your bonus money will be available within minutes. The bonus offer is valid from May 26 to June 16 (12:00 CET). The amount of the first deposit made during this period will determine the amount of the bonus. The maximum bonus that can be claimed is EUR 100. Customers who deposited more than EUR 100 EUR may only claim the maximum amount of EUR 100. The bonus offer is valid for new and existing bet-at-home.com customers. The bonus must be redeemed within ten (10) days of the deposit by entering the bonus code “B2010” in the menu “Deposit/Withdrawal/Redeem bonus”. Failing to do so, the customer will no longer be able to claim the First Deposit bonus. No withdrawal will be possible during the bonus period (from May 26,2010 to June16,2010, 12:00 CET). Customers who make a withdrawal during the bonus period will not be able to claim the bonus. Customers must rollover their deposit and bonus four (4) times with minimum odds of 2,00 (applicable to both single and combi bets) prior to making a withdrawal. Customers who made a deposit of more than EUR 100 must rollover the total sum of EUR 200 four (4) times prior to making a withdrawal. Bonus rollover must be achieved within 6 months. If this requirement is not met, the entire bonus amount will automatically be deducted from the betting account. The bonus is valid for sports betting only. Casino, live casino, poker, games and greyhounds are not included in this offer. The bonus is only valid for one betting account per person, family, household or computer. By suspicion of abuse via multiple registrations (fictitious accounts, game communities), bet-at-home.com reserves the right to cancel the bonus and the resulting profits. Customers, who have chosen USD as a currency for their betting account may claim the maximum bonus of USD 100. Customers, who have chosen GBP as a currency for their betting account may claim the maximum bonus of GBP 75.
bet-at-home.com reserves the right to amend or cancel this offer at its own discretion.